Shopping for a tent isn’t a process that should be taken lightly. The wrong tent can quickly turn a fun outing with family or friends into a disaster. Tents aren’t exactly a cheap piece of equipment either so you will want to get the most bang for your buck. One of the most versatile tent sizes are 4 person tents. The average person probably won’t go camping alone, but probably with one or two other people. A 4 person tent offers plenty of room for a couple along with space to store gear. Being able to shelter another one or two people makes this size category ideal for the more casual camper or weekend warrior. 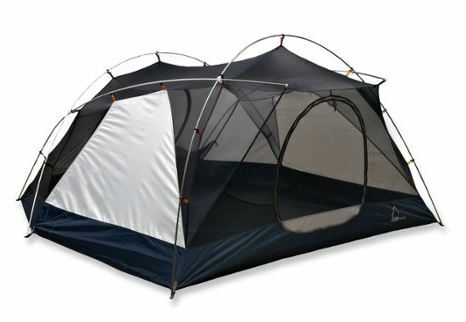 There are a ton of 4 person tents on the market but here are the top 3 highly rated models. 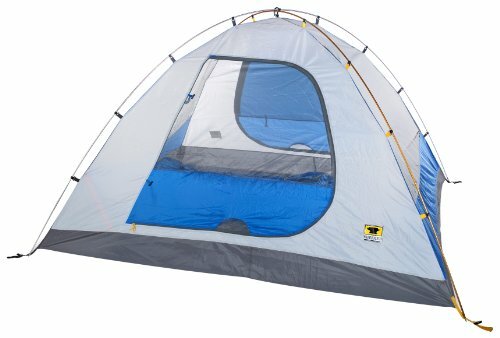 The Sierra Designs Zeta 4 is an extremely user-friendly hybrid style tent that is surprisingly spacious and tall inside. It is popular with both new and experienced campers alike. The Zeta 4 has quite a few impressive features that makes it enjoyable to use. The Zeta 4 is far more user friendly than most tents and is particularly impressive in areas where high winds may occur. One downside of the tent is its lack of interior pockets for storage when compared to other tents in this category. This is more of an annoyance for some people than a true fault of the tent. Overall the Zeta 4 is designed extremely well for usability. The Swivel Hub pole attachments are an ingenious idea that makes set up quick right from the start. Sierra Designs combination of a flexible ridgeline along with tough polyester taffeta material put up with a lot of tough use as well. 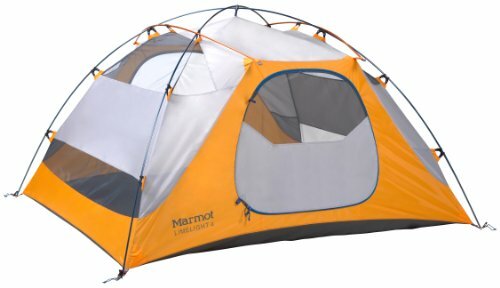 Marmot is a well-respected brand in outdoor gear so it’s no surprise that one of their 4 person tents made the list. The Limelight 4P is ready to go right out of the box and is specially designed to split between 2 backpackers, making it ideal for camping with a buddy. The Marmot Limelight 4P is super versatile since it can easily be broken down to just a rainfly and pole set up. This is very useful for simple overnight trips during warm weather or as weather protection for day long outdoor activities. As mentioned earlier, this kit can be broken up to allow for two people to carry a portion of the gear in their own pack. This is a great feature for campers who would rather share a shelter than have to each carry a one person tent. There really aren’t any downsides to the Marmot Limelight 4P. It’s consistently rated at 5 stars and the high quality materials means your investment in this piece of equipment will serve you for many years of use. You can check out the latest pricing for the Limelight 4p here. The Mountainsmith brand has been around for more than 30 years and has produced many wonderful tents in that time. One of their best 4 person tents is the Genesee 4. This model is roomy and tough enough for the trail just as it is at a campground. The Genesee 4 was even awarded a “Top Pick” in ’11 by Camping Life Magazine. The Mountainsmith Genesee 4P is a very reasonably priced tent that is budget-friendly for many people. It can comfortably hold 4 people but makes a very roomy shelter for a couple. The tent is well designed and capable of taking on fairly heavy rain or high winds. It has also tested well in humid regions where condensation or excess moisture is often a problem in a tent. (For the latest prices and discounts, check here). All three of these 4 person tents would work well for almost any situation as long as you don’t expect to camp in very cold or extremely stormy weather. Their lightweight and unique quick set-up designs make them user-friendly and perfect for those who don’t want to struggle to get their shelter up at the campground or out on the trail. Be sure to research prospective tents carefully before deciding on which one to go with. It’s never a bad idea to double check warranties and return policies as well.